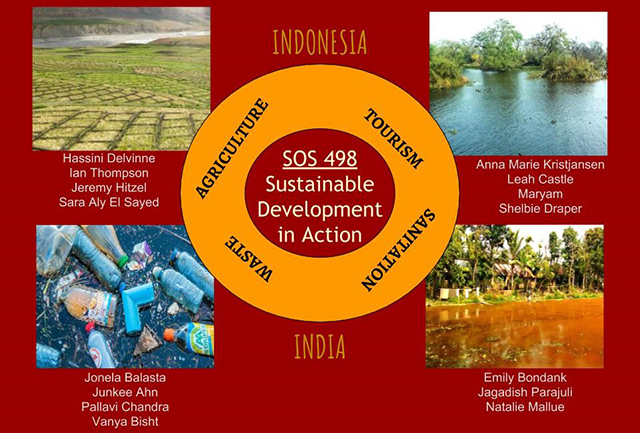 Join graduate and undergraduate students of SOS 498 and SOS 594, who worked with NGOs and university partners in Indonesia and India to address sustainability challenges in the areas of agriculture, tourism, solid waste management and sanitation. Please join us to see the creative solutions that they come up with and enjoy some ethnic cuisine. Enjoy food from local restaurant, The Dhaba.